Before you get all huffy (especially the social media vendors that may read this), I want to narrow my definition of “social media” for the purposes of this article down. 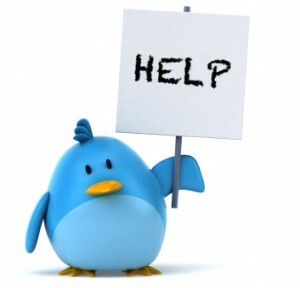 Social media encompasses a lot of things but I’m specifically talking about Facebook and Twitter management. There are not many people who would argue that, given the choice and means, any company has the ability to do their own social media better than any vendor. You know your company better than anyone. You have the access and availability to create instant, company-specific content on-site and all the content you need to do it. That being said, if you find yourself either in a position where you don’t have anyone to do it in house, or you don’t have the time to do it yourself and you are considering outsourcing your social media, consider a few things. Being familiar with many of the social media services directed specifically at the automotive industry, whether those services are from a company that only does social media or as a service offered by a vendor that has multiple services, in my opinion, there aren’t any social media companies and/or any true social media services offered by companies. What, exactly, do I mean by that? In my opinion, every company that exists and works within the automotive space that offers social media services are, in reality, offering content marketing services. The basic idea is that they will set-up and/or manage your social media properties and provide content for those properties on a daily (or less) basis. Yes, chances are that they will respond to comments left (hopefully) and engage with fans when fans engage with you. They may offer to help you grow your fan base and followers – some via methods with which I agree and some using methods which I think are idiotic. Keeping in mind that I’m only talking about Facebook and Twitter management (not reputation, location-based services, etc.) that typically encompass the scope of work. Content marketing is NOT social media. I’m certainly not trying to imply that there is no value in content marketing. There are lots of benefits to it especially with well run blogs with great, relevant content… but it’s not social media (at least as defined for the purposes of this article). They should be optimizing your pages/profiles to achieve maximum exposure via search engines. They should be teaching you how and helping you grow your fan base organically through in store signage, marketing integration and other means in which to capture your existing customers. They should be providing fresh, relevant and timely content and posting this content to your properties on a daily basis. They should be creating, finding and seeking this content daily. Yes, every day. Not creating some monthly calendar of content 30 days in advance, re-using content amongst clients (whether they are geographically close or are competitors doesn’t matter)… and they certainly should not be using a “content library” of canned posts. They should be analyzing the performance of different content types on a daily basis and tailoring the content they are posting to what the page audience wants to hear, not what they want to tell them… on a daily basis. They should be available and ready to react almost instantaneously to any issue, event, request, problem, comment.. anything and everything… on a moment’s notice. 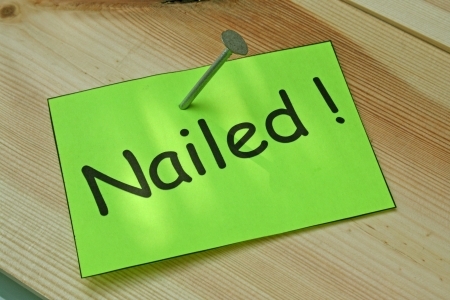 If a customer tweets or posts a complaint, there better be someone to respond.. and fast. Not just between the hours of 9am and 5pm. Most social media companies are reactive in their engagement. Their engagement is in response to an action taken by a fan or follower. Social media companies should be proactive in their engagement. They should be seeking out relevant conversations happening in your market area (whether that’s by region, state or national) and trying to insert themselves into relevant conversations in a non-threatening and engaging way. Anyone that tells you that social media is all about branding and that “selling” shouldn’t and/or can’t happen is an idiot and you should run away from them. Bottom line is that everything you do – whether its traditional or digital advertising – is about selling your product or service. Sales can be, and are, made on social media all the time. Revenue is there. There is an ROI (albeit it’s hard to track). Anyone trying to convince you otherwise is setting you up for that future conversation where you say you’re not selling anything from it and they say social media isn’t about selling. I’m pretty certain you’re not in business to not make money. When people follow you on Twitter, they should be thanking those people and, if appropriate, following them back. In addition, they should be finding new and relevant people to follow on your behalf. On top of those two things, they should be identifying your influencers as best as they can (and that doesn’t necessarily mean the ones with the highest Klout scores) and seeking to engage with them. They should be using methods and techniques designed to maximize your reach on both Facebook and Twitter. There are many things you can do that are free. Some that cost money. 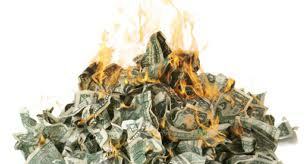 There are some things that I believe are worth the money they cost and some that I believe you might as well be lighting your money on fire if you use them. Whatever the case may be, they should be including these in their offerings to you. They should be doing this in real-time as the situation warrants. How do I know that there are NO social media companies that do this? Well, I’ve talked to many of them. Heck, it was my JOB to research competitors. I also attend trade shows and pay attention. The reason they don’t do it is that it is not a scalable business model. Bottom line. I get that and agree that it probably isn’t but that doesn’t mean they’re providing social media services.. they’re providing content marketing. That’s all well and good but let’s keep it real. Just because doing it right isn’t “scalable”, that doesn’t justify calling your service something that it isn’t. Many dealers don’t “get” social media. Some “kind of” get it. The ones that actually “get it” will agree with everything I’ve just written (or at least I hope they will). So, remember two things about your social media: First, that you can do it better than any vendor whether you believe that’s true or not and second, that, IF you’re going to outsource this to a company, at the very least know the difference between a company offering you social media and one offering you content marketing. Are You Being Cheated By Facebook Promoted Posts? Let me start by saying that I’m a fan of Facebook’s Promoted Post feature in general. If your goal is to increase your Page exposure and reach not only more of your fans but penetrate their networks as well, I’ve found that they accomplish that goal. They are especially useful for smaller pages with a fan count under 1500 where the typical cost to promote a post will be in the $5-$10 range. 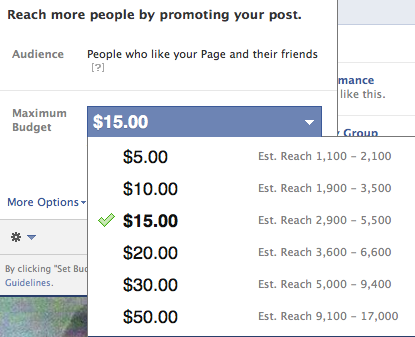 In the past, on a particular Page which has 164 fans, the options available for promoting a post were $5 and $10 with an “estimated” reach of usually in the 2,000 range for the $10 option. Considering that a typical Page post will reach an estimated 16% of the Page’s fans (in this case approximately 27 people), this is a considerable difference. This Page typically gets good engagement and has a slightly large reach per post – typically between 40-100 with some posts even reaching into the 700 range without promotion (although this is rare). Recently, Facebook decided to increase the available options to Pages with a smaller number of fans. I noticed this and decided to try testing it out to see what the results were. 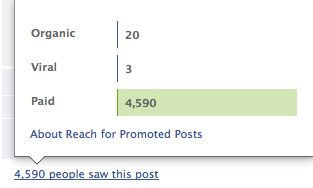 As you can see, the potential reach increased from a maximum of 2,000 I was offered previously to 17,000. I decided to take the plunge and test out the $50 option and let the ad run its course over the 3 days (which, in case you didn’t know, is how long a single post will run in a promotion) so that I could see what the results were. As you can see, this is considerably less than the estimated exposure Facebook promised me in their “estimate” of between 9,100-17,000 for $50. In fact, this should have been the results if I had chosen the $20 option. I find it completely unacceptable (and false advertising) that Facebook would deliver the post to about 33%-50% of the estimate I was promised for my $50. I have noticed this disparity in the past but since I’m working with some Pages that have a smaller audience and the reach promised was much less, the disparity between the “estimated” reach and the final number has never been that large. Bottom line is that, while I still think Facebook’s Promoted Post (or Boost Post as they’re now calling it) option is a good value for exposure, I will no longer have any confidence in the “estimated reach” promised. Yo, Facebook. You owe me $30.